When a customer buys your product, be rest assured that it is resultant of careful selection and meticulous planning. However, there can be situations in life where everything simply doesn’t unfold the way we like them to. None will be immune to such experiences. The same holds true when it comes to business in real life. A product may result in a malfunction. To err is human of course, it is only wishful thinking to demand perfection from machines. Thus, it is quite an expected norm that your product may run into difficulties. The real point of differentiation will however lie in fact as to how the complainants have been treated in relation to the matter. That a positive experience will work to your benefit, is no subject of debate here. According to consumers themselves, the services and other assistance offered by companies and business establishments come in as secondary preference. The very first expectation they set is the right to be spoken to properly. According to the Net Promoter Industry Benchmarks Study, around 34% of customers believe that a bad individual is what constitutes a bad experience. With the human resources being overburdened with extra tasks, an occasional outburst at an adamant customer, or even a first-timer, may be understandable. 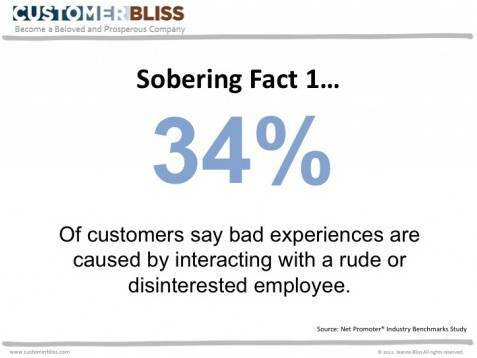 What can be done to resolve this issue without compromising with customer interaction is reliance on technologies. Sounds impossible, right? Explore this very possible and revolutionary approach with Glad Minds’ cloud-based customer engagement software.